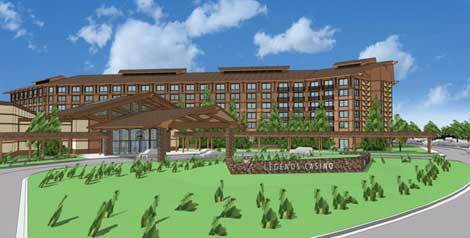 The Yakama Nation's Legends Casino opened May 14, 1998 at a cost of $9 million. and closing at 4AM on Monday. 24 Table Games - includes Blackjack, Spanish 21, Craps, Roulette, 3-Card Poker, Pai Gow, Let It Ride, Live Poker. Open Sun-Thu 10am to 3am, and Fri-Sat 10am to 5am. Legends Casino has a $90-million expansion project to add a 200-room, 6-story hotel, a 5,400 square foot convention banquet, and a 4-story parking garage for 750 vehicles. Take exit 50. Go to second stop light. Turn right onto Fort Road. Legends is on the left off Fort Road.